Home Entertainment	Meet the world’s hottest Uber driver! Meet the world’s hottest Uber driver! 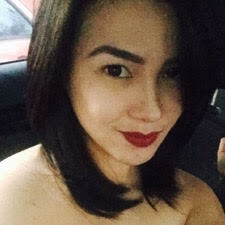 Joyce Tadeo from Manila has been dubbed the “World’s hottest Uber Driver”. She is 27. Tired of her earlier job as a medical representative in a pharmaceutical company, she decided to join Uber. She works in Bonifacio Global City district. She loves the attention and poses with her passengers too sometimes. And she obviously gets hit on by guys who want her number! But she hasn’t tried dating any as there are strict rules about drivers and passengers. Some peeps are desperate to hitch a ride with her through the app! This model’s photoshoot on a skyscraper is going viral. This guy’s girlfriend cheated on him, and he found out in the worst way possible. Gru Meets Dru In The New DESPICABLE ME 3 Trailer!